BROWNSVILLE, TN — During this final week of Black History Month, the Tennessee Tribune salutes the undisputable Queen of Rock—Tennessee’s own Tina Turner. 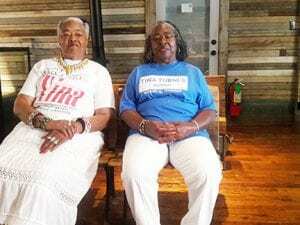 As the world knows, the hometown roots of this rock music legend began in the small-town areas of Nutbush and Brownsville Tennessee. Today at age 78, Ms. Tina has retired from her international touring schedule but she’s still creating projects for her legions of fans throughout the world. Next month the stage play musical ‘Tina: The Tina Turner Musical’ will make its world premiere at the Aldwych Theatre in London’s famed West End. Tina, spearheaded the writing team for the project, which includes Olivier Award-award winning playwright Katori Hall, who’s from Memphis, TN. Hall is also the Artistic Director of the Hattiloo Theatre in Memphis. Her play ‘The Mountaintop,’ was featured at the West End in 2010 and won the Olivier Award for Best New Play. Following its West End run, the play opened on Broadway in October 2011 to critical acclaim. 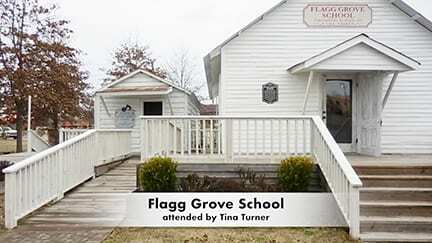 The Tina Turner Museum at Flagg Grove School is the spot where two of Tina’s childhood friends, sisters Annie Bridges and Julie Taylor, recalled happy days and fond memories of what it was like to attend the Flagg Grove School and be playmates with Anna Mae Bullock. Annie and Julie’s aunt, Willette Beard, was everyone’s teacher in the one room school. The ladies sat in some old fashioned wooden desks from that era, as they happily reminisced about their days as students and friends with the future Tina Turner. MS. JULIE: We also used this door that lead to a small room where we would go to drink some water. Everybody had to have their own glass. We couldn’t drink behind each other from the same glass. And then outside of the little room, we would go out this door to go into the bathroom outside. The bathroom had a red and white circle made for us. If someone went out, then you had the red sign out, and when you come back in, you had to turn it on green. And that would let someone know the bathroom was occupied. So, the little sign had the colors that represented stop and go. It was very handy because we would watch the door all the time when people would go out. Aunt Willette had the sign hanging on the door with a string on it, and all you had to do was just turn it back and forth. MS. ANNIE: And sometimes we’d be a little scared to go to the bathroom because there may be a snake or something in the toilet out there. That was one of my biggest fears. TRIBUNE: Did you ever see a snake? MS. ANNIE: One time I did see a snake, but I didn’t see one in the bathroom toilet. TRIBUNE: Ladies, before we close out, any final comments or something you’d like to say? MS. ANNIE: Well, we hope the Good Lord continues to give Tina good blessings because she deserves it all. MS. JULIE: And I would just like to say that I wish Tina the best because we had a good time when we were all children. We used to play together, and we used to sing together, even though I wasn’t a good singer. We used to talk about a lot of different things. We just had a good time and I wish her nothing but the best.